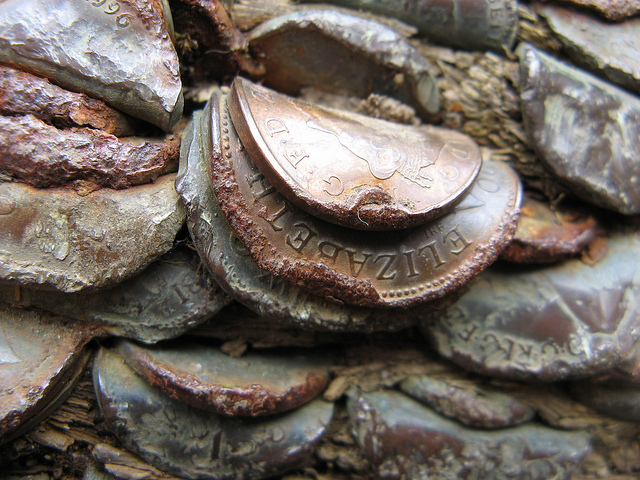 Did your mother ever chastise you with the words money doesn’t grow on trees in a possibly fruitless attempt to curb your profligate ways? Well, maybe – just maybe – she was wrong. 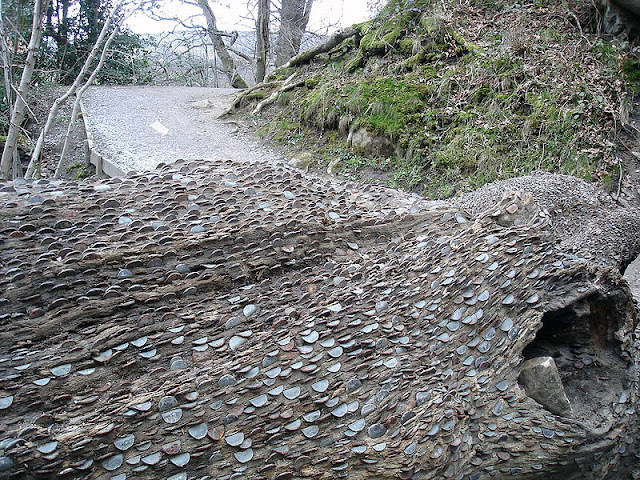 The people of Yorkshire, in the north of England are renowned for being careful with their money. 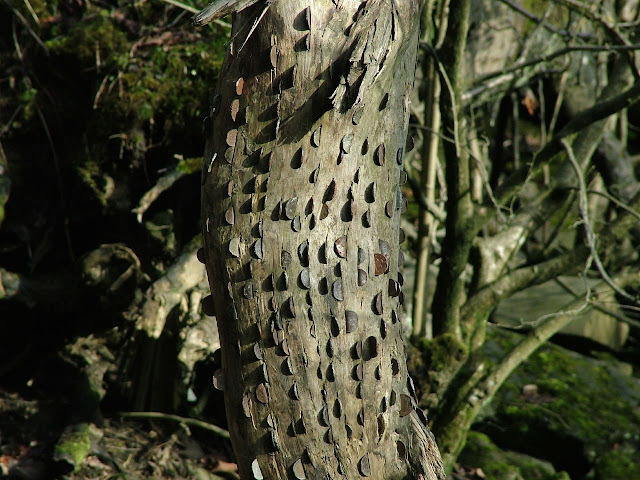 While this localized stereotype may not always be fair there is evidence that on occasion they are willing to throw caution to the wind and hammer their low denomination coinage in to trees. 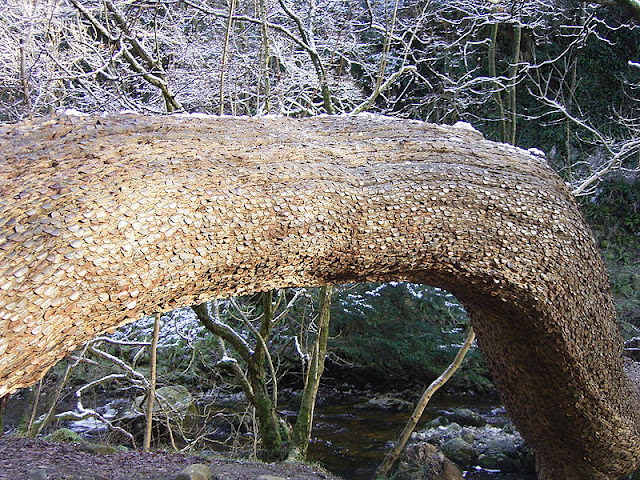 The good folk of Ingleton in North Yorkshire have some of the most stunning woodlands in the country and the local waterfalls trail has something other to offer than the sight of the wet stuff cascading in a picturesque way. 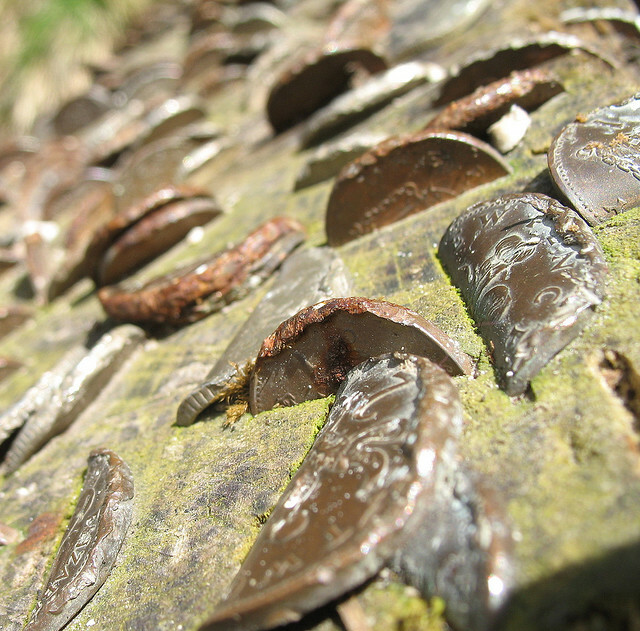 Close up it seems as if the coins have almost merged with the wood, but that is the effect of the weather upon the metal. 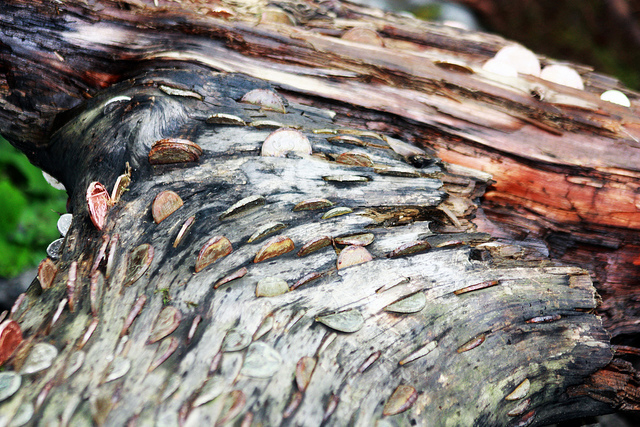 Some suggest that the reason money is pushed in to the bark is more than just a desire to increase one’s wealth. 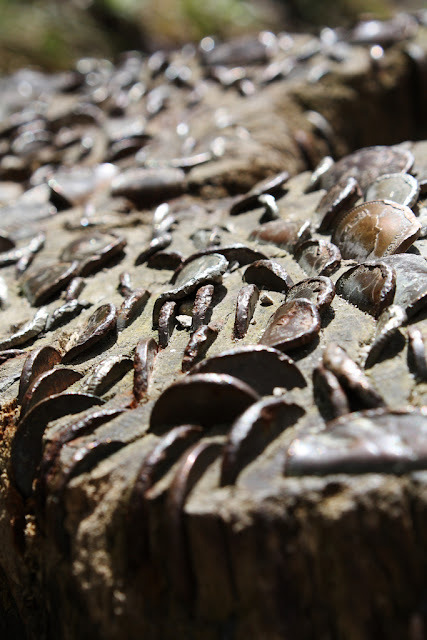 It is thought that the amount of coins pushed in by an individual may result in them producing the same amount of children when their natural fecundity discovers a partner. 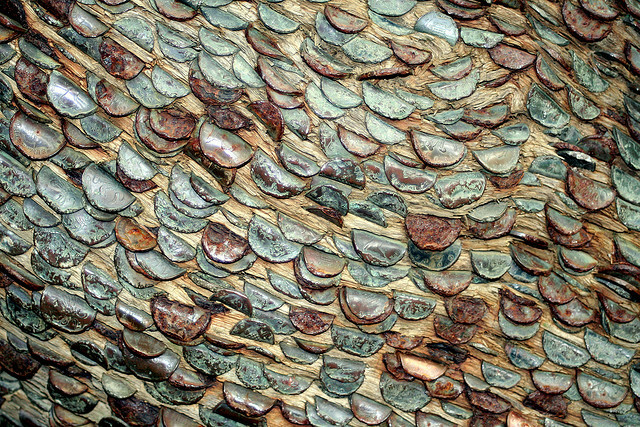 The tree itself, though long since alive, has come to bear a marked resemblance to the skin of some rare species of lizard, the coins becoming its scales. It is almost Arthurian in its strangeness. 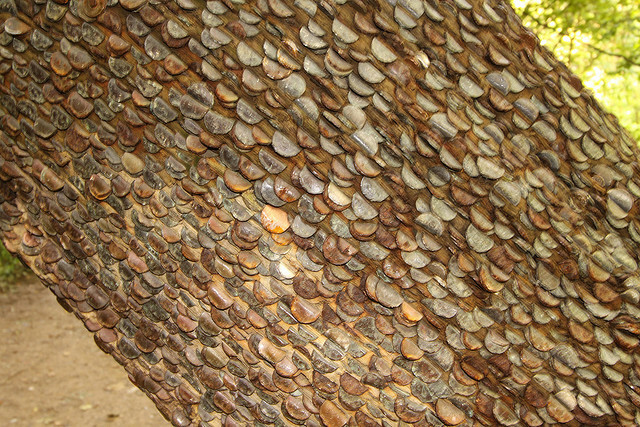 You do not even have to leave the county to see another tree which is pitted with hundreds of coins. 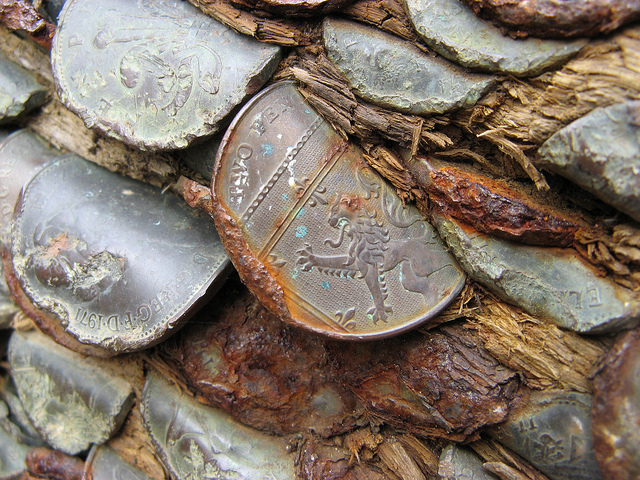 Bolton Abbey, famous for the wonderful ruins of a twelfth century priory also has its own money tree. The fact that two trees of the same kind are found in the same county may well say something about its inhabitants. 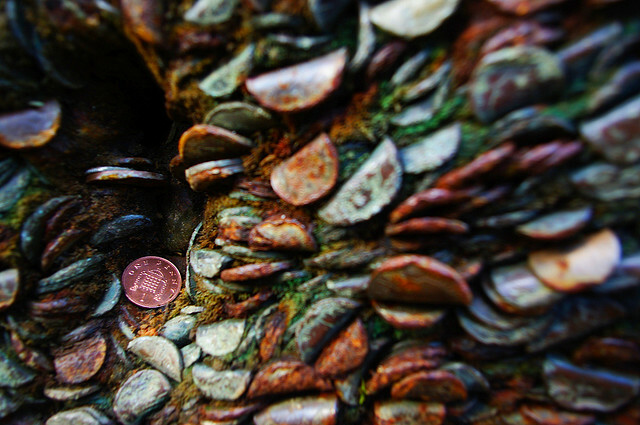 If you are of the opinion that money can do anything, you could be inclined to do anything for money. 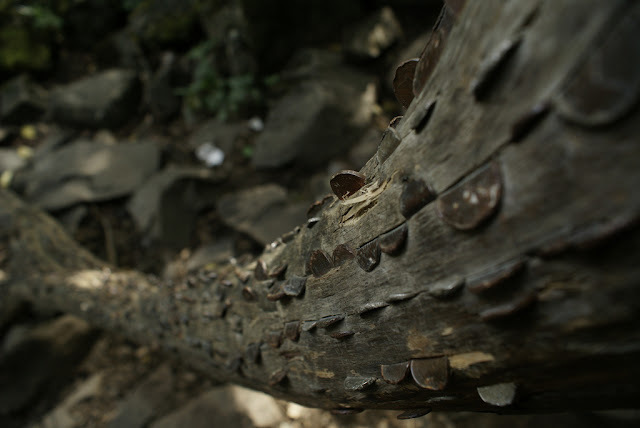 Perhaps those visiting these trees would have been better off simply putting a little money away in a savings account each month. In a year they would be surprised at how little they had. It is said that if all the rich people in the world divided their money up between themselves then there almost certainly would not be enough to go around. 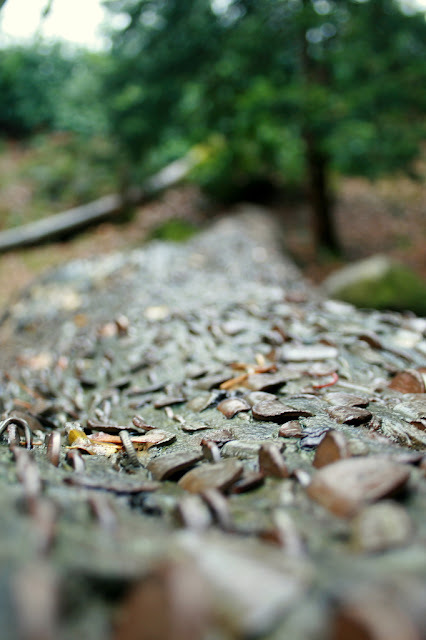 Perhaps wishing for money is one thing, but getting it is another. As they say, when the gods wish to punish us, then they give us what we want. 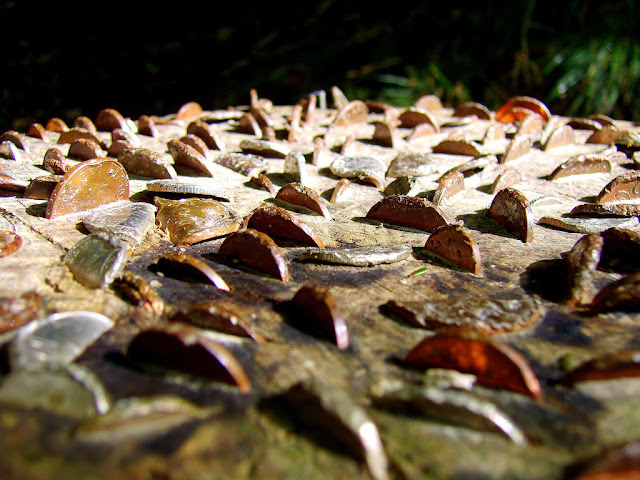 Cicero, way back before the Christian era said that endless money created the sinews of war – and nothing is truer than that two thousand years later. 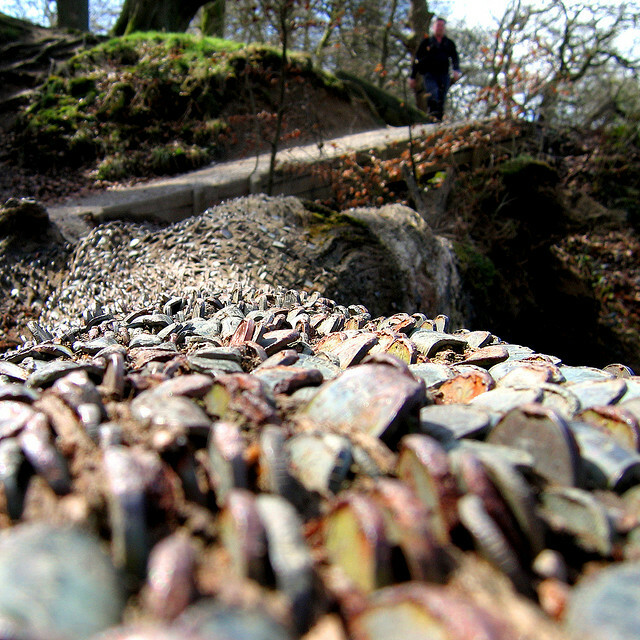 If you are ever taken on a jaunt to Cumbria then you should not forget to visit Ambleside over the Kirkstone Pass. 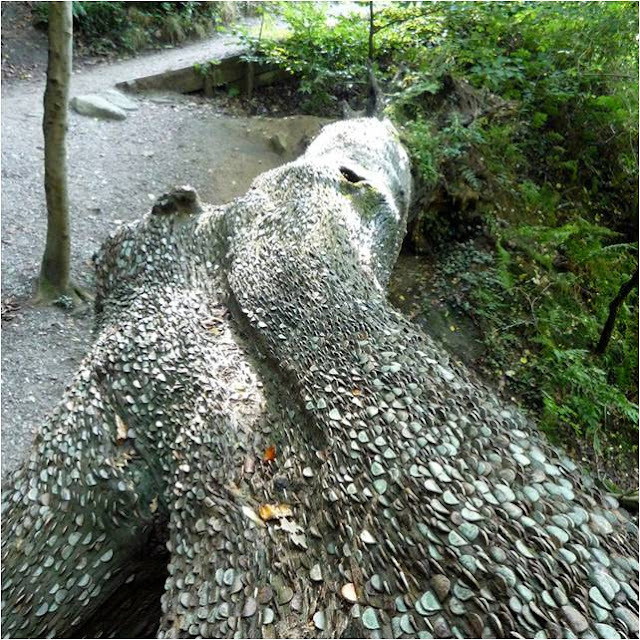 Aira Force, again the site of a beautiful waterfall - one of the best known waterfalls in the Lake District in fact – is home to yet another money tree. If Poirot was around today he would perhaps be profiling those people who use trees for this sort of decoration. Firstly, they seem to all be in the north of England, secondly they generally seem to be close to waterfalls. Throw in a good murder mystery and you might well have the basis of a Christie-esque novel. 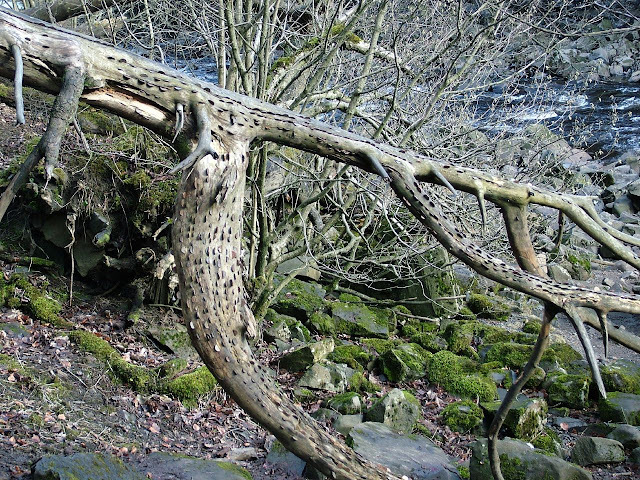 Dovedale in Derbyshire is the home of the one above – so the plot thickens. Owned by the National Trust in the UK, it annually attracts over a million visitors to its beautiful scenery. And strangely enough, a river runs through it. The plot thickens. 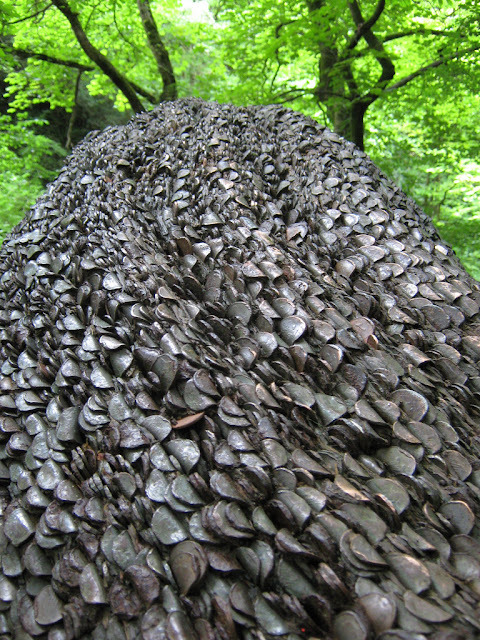 If you happen to go there in hunt of the money tree, don’t forget that you can also see the famous caves known as the Dove Holes, which sound something like a SM heavy metal band, but there you go.